Agricultural Development Corporation BADC Exam Question Solution 2019: Agricultural Development Corporation BADC has taken an examination today. The examination for their vacant job circular. BADC Assistant Account Officer & Assistant Audit Officer job exam question solution 04-05-2019. 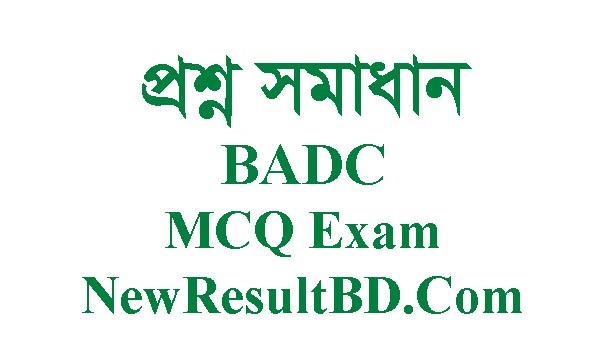 Bangladesh Agricultural Development Corporation exam was MCQ type. We are trying to solve BADC exam questions. Here is the solution of BADC exam question solution 2019.